Pesto sauce, artichokes, and more! 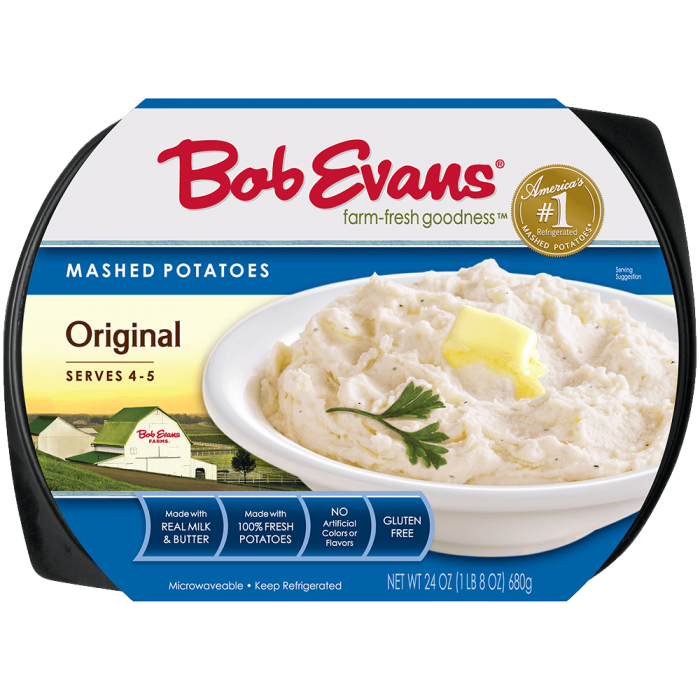 Exquisite ingredients set these mashed potatoes apart. Sprinkle 1 Tbsp. of each on top of mashed potatoes: pepperonata and marinated artichokes. Place 1 oz. sliced chicken on top of artichokes. Garnish with 2 tsp. of pesto sauce and a Parmesan crisp. 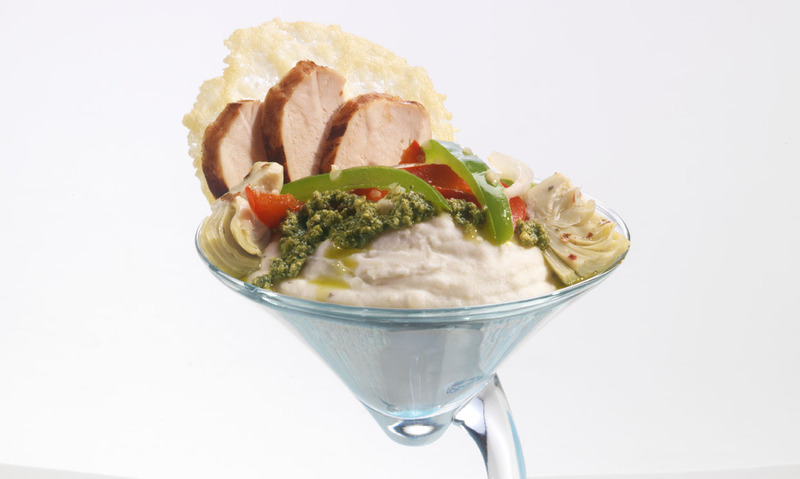 2 Place 3/4 cup (1/4 package) of mashed potatoes in a martini glass. 3 Sprinkle 1 Tbsp. of each on top of mashed potatoes: pepperonata and marinated artichokes. 4 Place 1 oz. sliced chicken on top of artichokes. 5 Garnish with 2 tsp. of pesto sauce and a Parmesan crisp.